Autohome is committed to constant research and innovation: the exceptional level of safety and quality is recognized by the prestigious International Certification of TÜV SÜD, formal acknowledgement of the excellence of the biggest selling (and Original) tents in the world. It is the Quality License. The certification of owning the product quality. The term "to certify" comes from the Latin certum facere, which means "to make certain, evident". For this reason, to give maximum protection to the customer, the range of Autohome roof tents is certified and guaranteed to have passed the stringent tests required by TÜV SÜD and other impartial quality and product Certification Bodies. 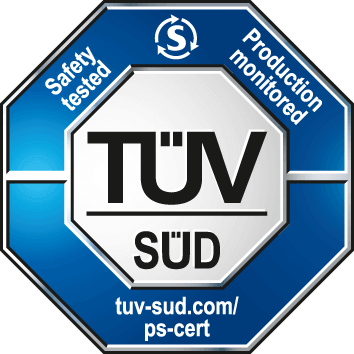 Precisely the TÜV SÜD is the only certification that guarantees the quality of the tent and its safety while driving, and it has nothing to do with the ISO corporate certification. The market includes tents without genuine certification; some manufacturers advertise partial certification or merely a few details. Some are certified to ISO 9001 standards but this is a certification of company organization and is not a guarantee of product quality or safety. Unlike the products of these manufacturers, Autohome roof tents have passed tough quality and materials tests carried out in the laboratories of certification entities, including the German TÜV for southern Europe. AUTOHOME certification is global and covers the entire product. It is not partial and does not refer to single details but to the product as whole. 8. End users prefer certified products because they are a “safer” choice.